Happy Fall! This time of year has always been my favorite because it’s the “Goldilocks’ Standard” of the seasons. It’s just right! Plus there’s that little spooky feeling floating in the air. It’s the perfect time to sit around a campfire and scare the snot out of each other with stories about Sinbad getting another TV show. Oh, you don’t do that? Well, surely you must talk about Candle Jack? You know, the for real boogeyman guy with the bag on his head? Yeah, that guy. He’s one of my top Freakazoid! villains. (The Lobe wins out by a smidge.) When I was younger, I used to call him Candle Blank, so he couldn’t spirit me away, even though I thought it might be kind of fun. He’s just so gosh darn adorable! And one thing that goes hand in hand with Fall and Candle Jack is perfectly plump pumpkin pie. That’s his weakness. Out of everything in the entire universe, that’s his weakness. How can you not like the guy? Just like the show. It’s so stupidly funny, that I still bust a gut whenever I think about it. My parents just stop and stare and wonder what on earth is wrong with me. Even I don’t know the answer to that, but I better take it easy on the laughter or I won’t be able to enjoy this pie. Recipe makes one 9-inch pie. In a food processor, pulse flour, sugar, and salt until combined. Add butter and pulse until mixture resembles coarse crumbs. Add 2 tablespoons of ice water and pulse until dough just comes together when pressed. If the dough is too dry, add more ice water, 1 tablespoon at a time, and pulse again. Form dough into a disk and cover in plastic wrap. Let dough chill until firm, 30 minutes to an hour. In a large mixing bowl, beat eggs, egg yolk, and brown sugar until smooth. Beat in pumpkin and molasses. Add cinnamon, nutmeg, and ginger. Gradually stir in half-&-half. Unwrap dough and place on a lightly floured surface. Roll out dough anywhere from 10 to 14 inches across and place in a pie tin. Gently press dough into place. Trim excess dough or fold it back on itself. Crimp edge for a more decorative look. Pour filling into pie crust. Bake for 15 minutes. Reduce heat to 350 degrees and bake for 1 hour, or until skewer inserted in it comes out clean. Cool pie on a wire rack for 2 hours. Refrigerate or serve it up! 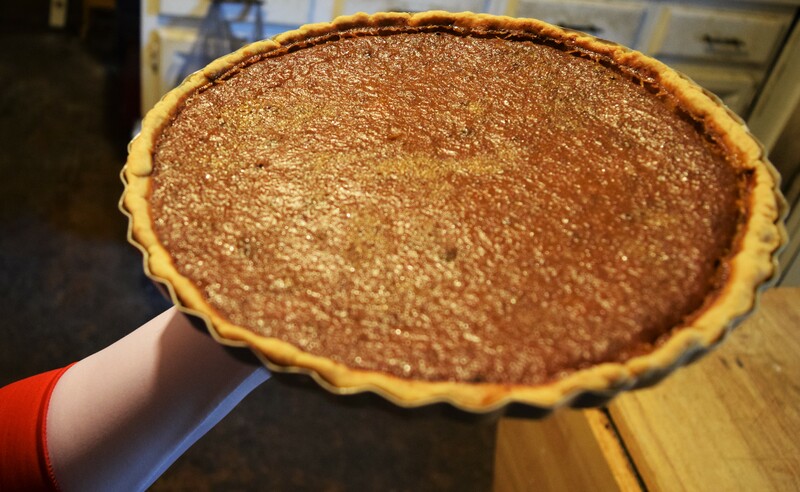 This pumpkin pie is definitely something to scream about. A happy kind of scream. Not a scary, Scream-O-Vision type. Forget the steel, mortar, and bricks. 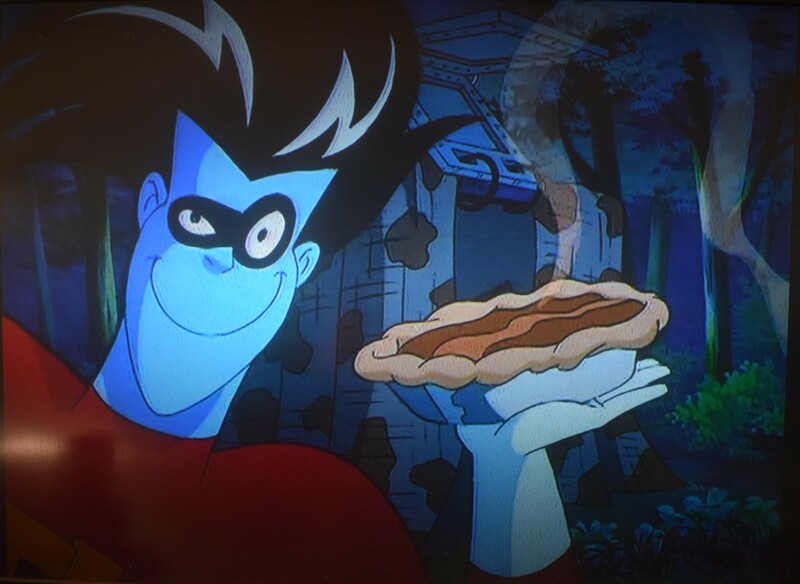 All you need to catch me is the pie. I’ll even go along willingly. And now you know the rest of the blog. Good day!